They bring out our fun side. Family and friends do not judge. They love us and appreciate us for who we are. So spending time with them would normally mean that we are free to put our worries on the back burner, let loose, and have as much fun as we’d like to. 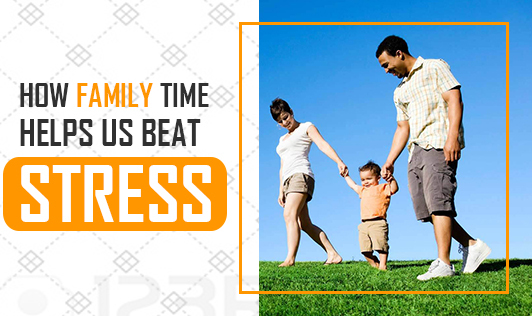 Pure, unadulterated fun with family and loved ones is one of the best ways of beating stress. They help us declutter our minds. Sometimes, going over the same problem in our heads can only make them seem much worse than what they appear to be. A clear mind helps us look at our issues from a fresh perspective and consequently come up with better solutions. Family members and friends help us with this. They take our mind off any situation that has been constantly nagging us and encourages us to divert our energy into something more productive. They boost morale. Family appreciates us for even the smallest of achievements. This motivates us to continue doing better. Similarly, they offer encouragement when we feel demotivated and less confident in our abilities. They let us know what’s really important. We may fish together, workout together, or simply maintain a garden together; point is we do them together. These activities help us bond, evade feelings of loneliness, and help us be happier people. They offer emotional support. With family, we share our happiness and our sorrows too. When we know that there are people who we can bank upon for our emotional needs, we tend to feel stronger at mind and respond adequately to any sort of situation. They help us stay grounded. Family checks in whenever we go wrong. Not only do they motivate us, they also let us know of our shortcomings. This helps us stay grounded which helps us heal better and keep our spirits up even during tough times. People sometimes get so engrossed in work that they start devoting an unreasonable amount of time on a single aspect of life and fail to appreciate the bigger picture. Family reminds us of what really matters. They help us appreciate the true essence of life.